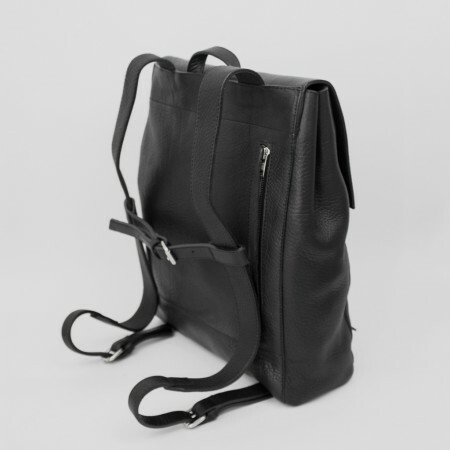 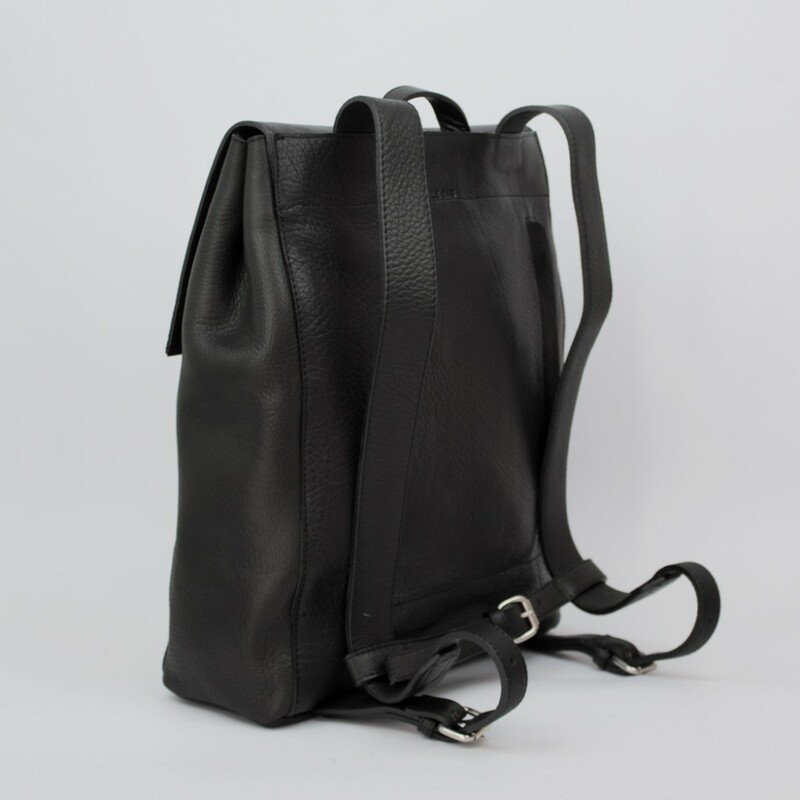 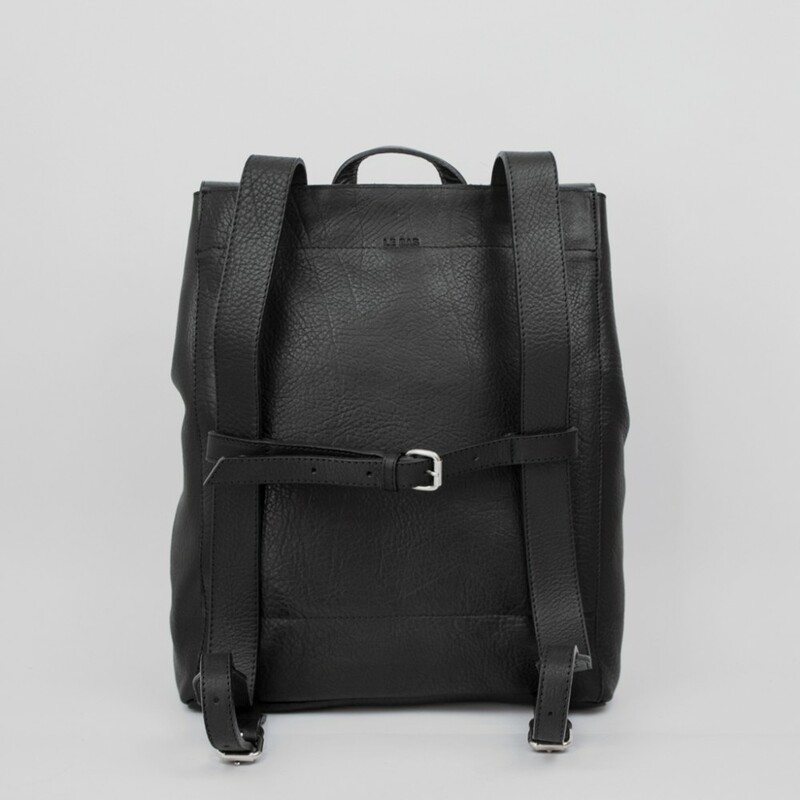 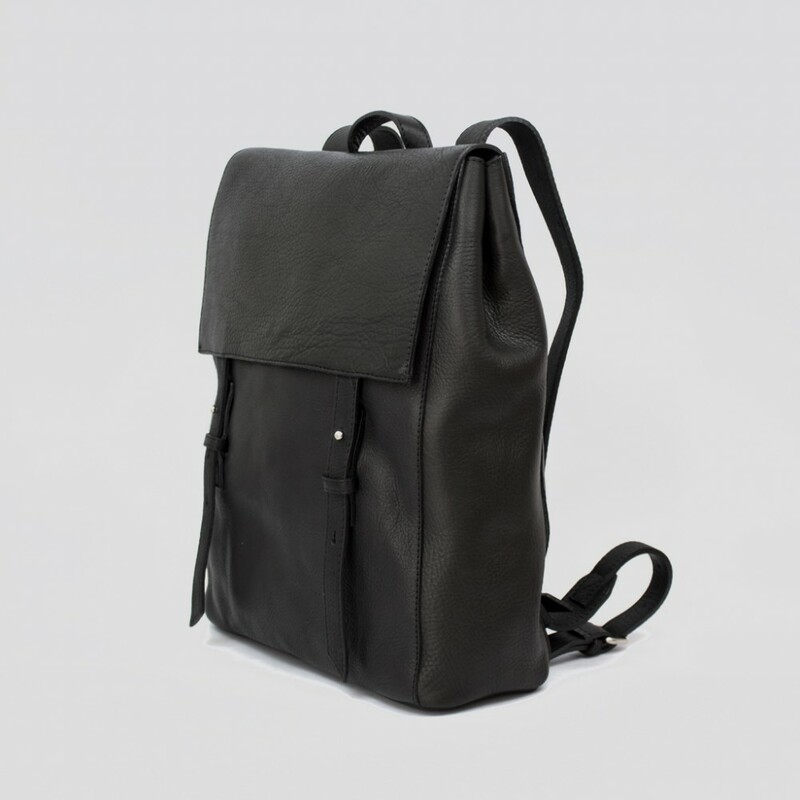 Leather Backpack with front flap with magnetic closure and two straps with sam browne fittings. The exterior back zip pocket allows you to keep your wallet and phone handy and safe at the same time. 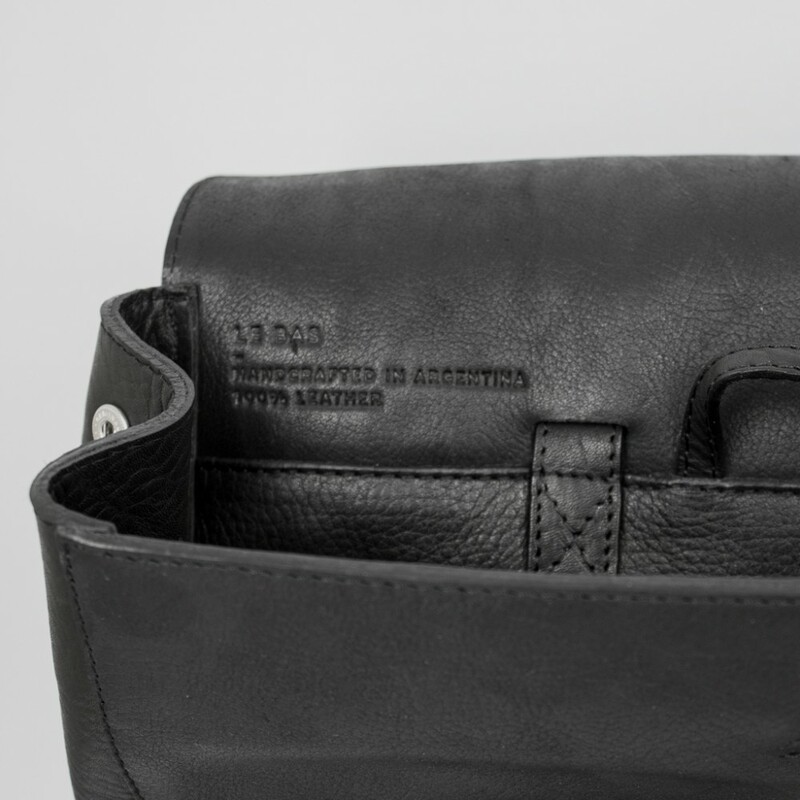 Single top handle. 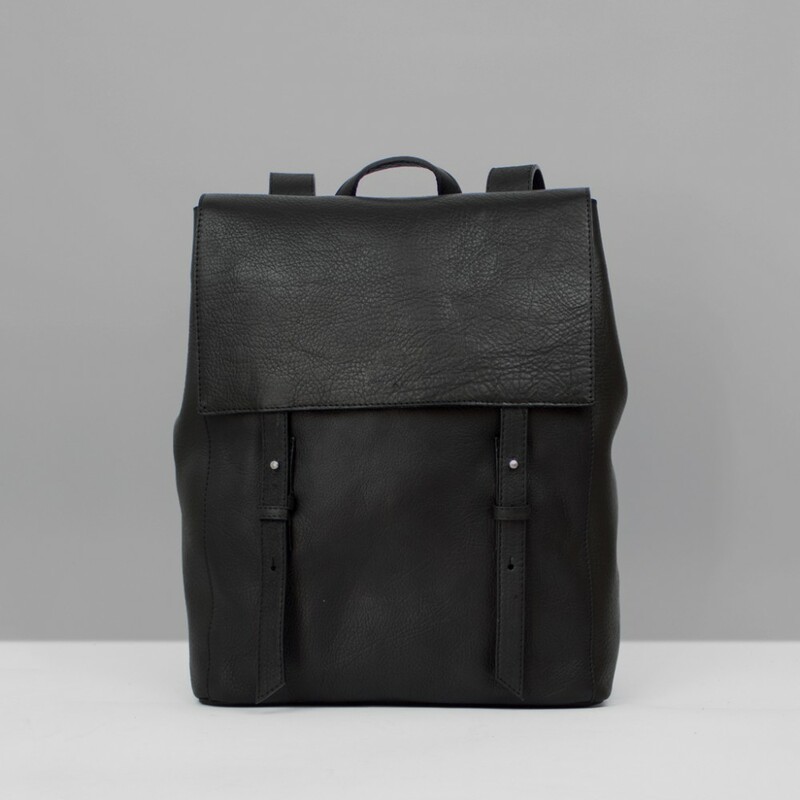 Unlined with a double leather base. 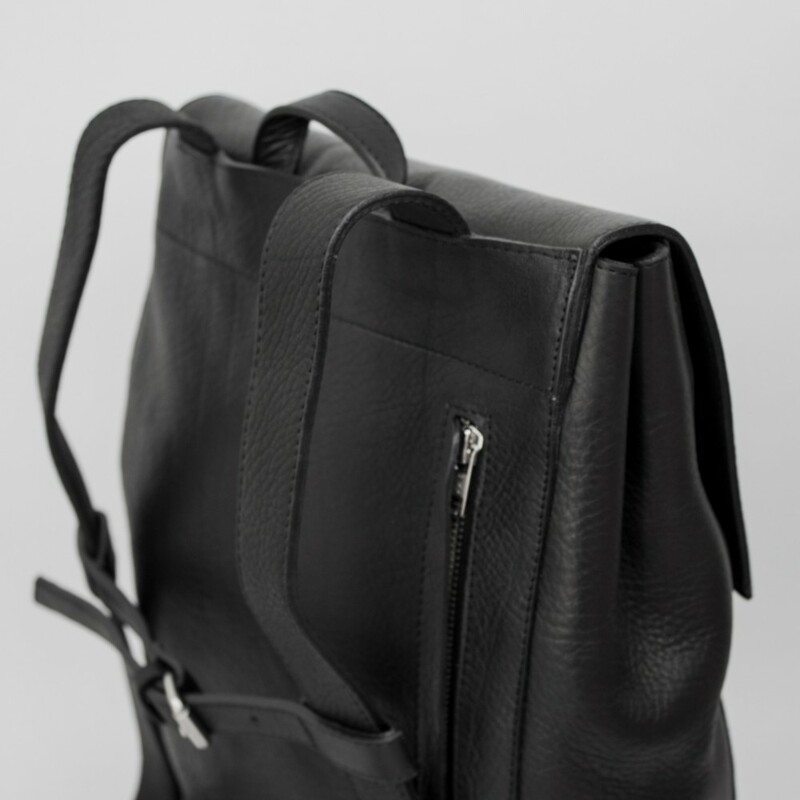 Adjustable backpack straps. Fits a 13" Laptop. 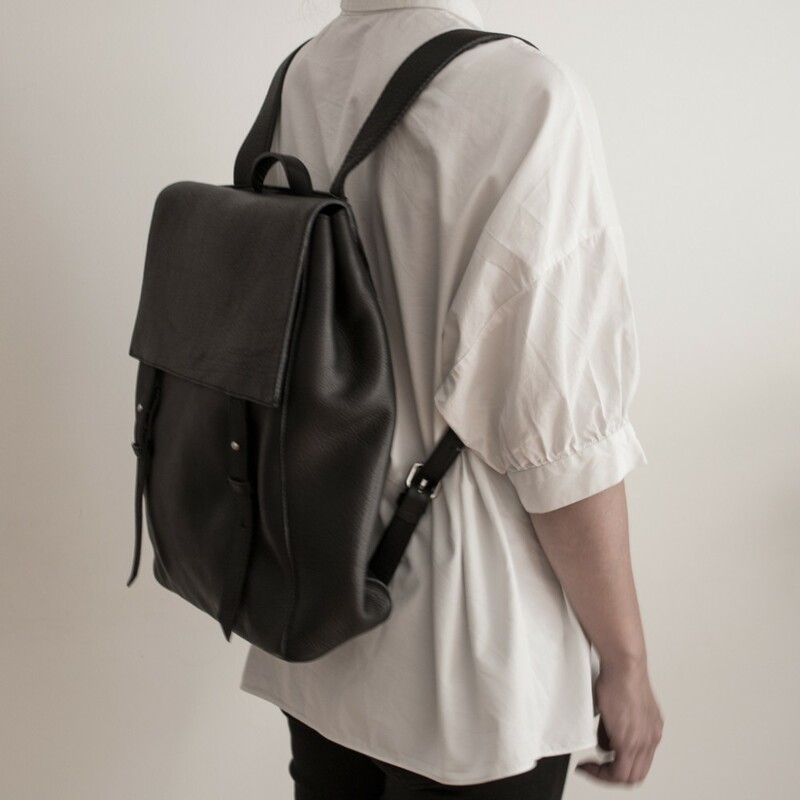 Dustbag included. p>FREE WORLDWIDE SHIPPING WITH SECURE TRACK AND TRACE NUMBER.